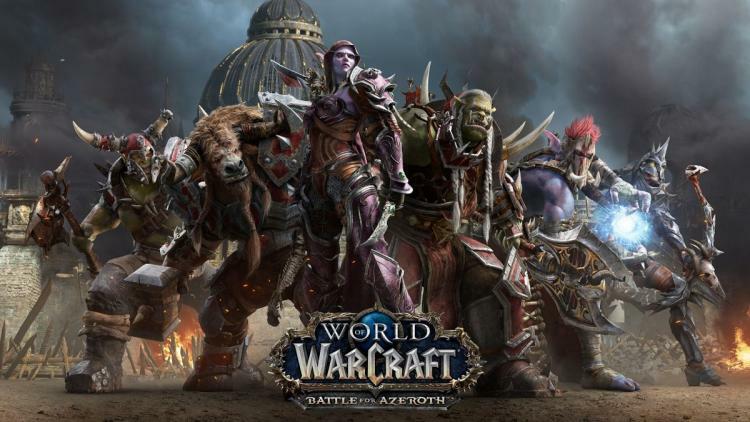 Last night Blizzard announced pre-order availability for Battle for Azeroth, World of Warcraft's 7th expansion, but less widely broadcast has been moderately meaningful update to the game's minimum and recommended specifications. You might expect that a game that's over 13 years old now would have archaic requirements; but they, along with the same itself, have been continually updated. Systems, especially laptops, which have been running tight to the minimums may be dismayed to see that CPU, GPU, RAM and Storage requirements have all increased. Newer gaming systems, even entry-level ones, purchased in the last few years should be okay however. It's notable that the new specs list two quad-core CPUs, but it's not altogether clear whether newer dual-core CPUs (with or without hyperthreading) will suffice. Older AMD APUs in particular may well be in choppy water. 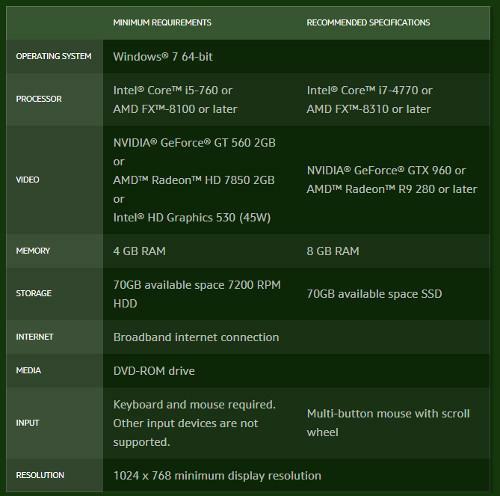 GPU requirements also go up a notch but a GeForce GTX 560 equivalent isn't too onerous - absolutely check out buying second hand if you can't stomach current prices for new hardware. Meeting memory expectations could be tough, but that increase in storage needed to 70GB from 45GB will be sure to catch a few out. Meanwhile the recommended specifications have also increased commensurately. It's out with the Ivybridge-era CPUs, in with the Haswell Core i7-4770 and FX-8310. That's an especially powerful consumer GPU (4-cores with hyperthreading in the i7's case) and makes one wonder if WoW's game engine now utilises multiple threads more efficiently. RAM recommendations move up to 8GB from 4GB (the new minimum), which isn't particularly surprising - WoW has always been hard on memory capacity in particular. It also calls for a decidedly mid-range GPU, which is nice to see in today's world of soaring prices. If you're looking to make some upgrades prior to the expansion's launch you'd be well advised to consider an SSD for the game. Although assumed to be hard on the CPU, WoW also thrives on the storage speeds SSDs bring to the table; just a modest 120GB SATA III model can make a tremendous difference to the fluidity of the game. It's possible that the expansion will include DirectX 12 rendering pathways, potentially easing a few performance pinch-points. Public invites to the Alpha have not yet been sent, but it will be interesting to see whether DirectX 12 has actually made it into a test build.